This vintage shirt has a wide cut through the chest and waist. 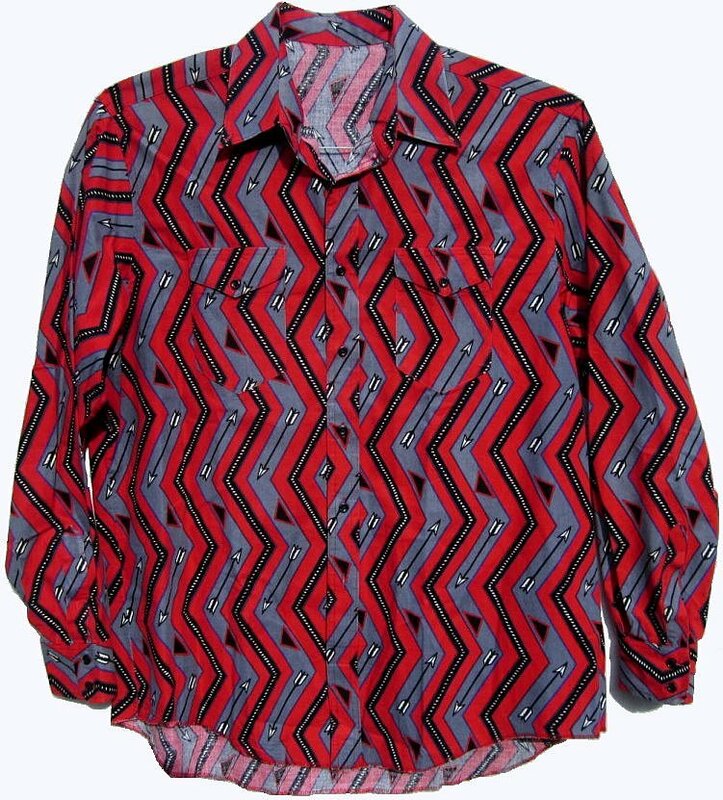 The loud shirt is a Medium Gray, Loud Red, Black and White. The cotton shirt has a roomy XL fit. It is 54" around at armpit level for a loose 48 chest fit. The sleeve is approximately 34". The length is 32". The shoulder is 21", not terribly large. The vintage shirt is in excellent condition. Garments may or may not need to be washed. Sale is usually final. Measurements are provided.